"He is the exemplification [of] public service and [an] agent of change," said representative-elect Raquel Terán. PHOENIX — Former U.S. Rep. Ed Pastor, Arizona’s first Hispanic congressman, has died at age 75. Pastor, a Democrat, served 23 years in Congress. He was the longtime senior member of the state’s U.S. House delegation before he decided in 2014 against running for re-election. He went to Congress after winning a 1991 special election for the seat vacated by fellow Democrat Morris K. Udall. Pastor represented a heavily Democratic district centered on Phoenix and also served as a member of the Board of Supervisors for Maricopa County for various years. Phoenix Councilwoman Laura Pastor, and Ed Pastor's daughter, said her father died Tuesday night. "With heavy hearts, the Pastor family would like to inform the public that Congressman Ed Pastor passed away," said Laura Pastor in a statement. "Congressman Pastor will be remembered for his commitment to his family, and his legacy of service to the community that he loved, the state of Arizona and the nation." Ronnie Lopez, a longtime friend of Pastor and finance director of all of his campaigns, said Pastor had a heart attack while dining at a restaurant with his wife, Verma. 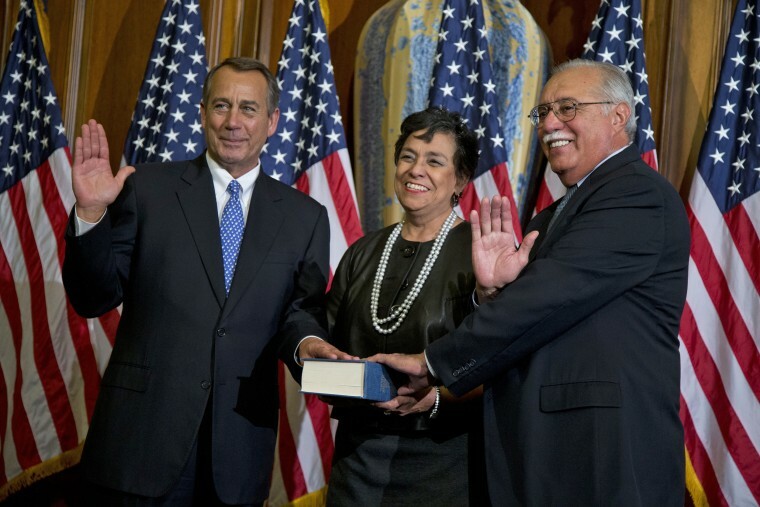 "We are devastated by the loss of Congressman Ed Pastor. A visionary Arizona leader and friend to all. He leaves a lasting legacy and will be deeply missed," said the Arizona Senate Democratic Caucus via Twitter. Current Phoenix Mayor Thelda Williams and former Mayor Greg Stanton said Pastor, who served on the House Appropriations Committee, championed transportation projects such as funding for Phoenix Sky Harbor International Airport improvements and construction of the metro area’s light rail system. “I adored Ed Pastor, and Phoenix is a better city because of him,” Williams said. Raquel Terán, who was elected to Arizona's legislature this month, said that Ed Pastor "was a true champion and fighter for Arizona and will be hugely missed. He is the exemplification [of] public service and [an] agent of change." Besides his wife Verma and daughter Laura Pastor, other survivors include a second daughter, Yvonne, and a sister, Eleanor. Laura Pastor said arrangements for a celebration of her father’s life are pending.